Dependable performance at an affordable price. 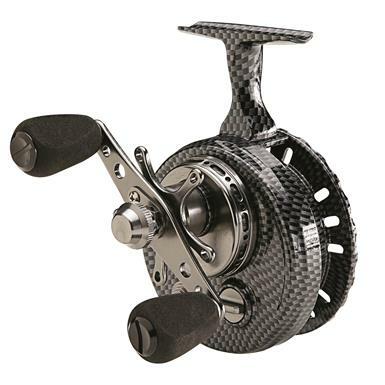 Reel in your next trophy with the dependable, affordable Eagle Claw® Magnum Inline Reel. It features a smooth Teflon® drag, 4+1 ball bearing drive and robust 3.5:1 gear ratio that's built for bringing in the big ones. Eagle Claw Magnum Inline Fishing Reel is rated 4.0 out of 5 by 1. Rated 4 out of 5 by Topgun from Less exspensive than local store including shipping! Manly stuff, clean design, easy to use, and it all works together.